Adventure and Indiana Jones are two things that never too far a part from each other. Every day this archaeologist goes off to brand new place to try and find ancient artifacts to put in museums. But before Indy goes to a far away land he makes sure that he has his hat, bag, and of course his whip. His whip will always be at his side because Dr. Jones never knows when he’ll need to swing across a hole or whip a weapon away from someone. 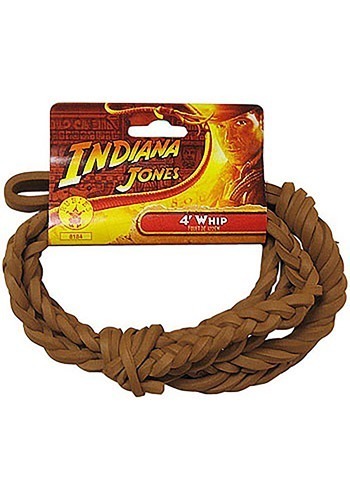 Now your Indiana Jones costume will be compelet with this great whip accessory. This 4ft Indiana Jones whip is an officially licensed Indiana Jones accessory. Get this leather whip to complete your Indy Halloween costume.